We are definitely getting into holiday mode around here. 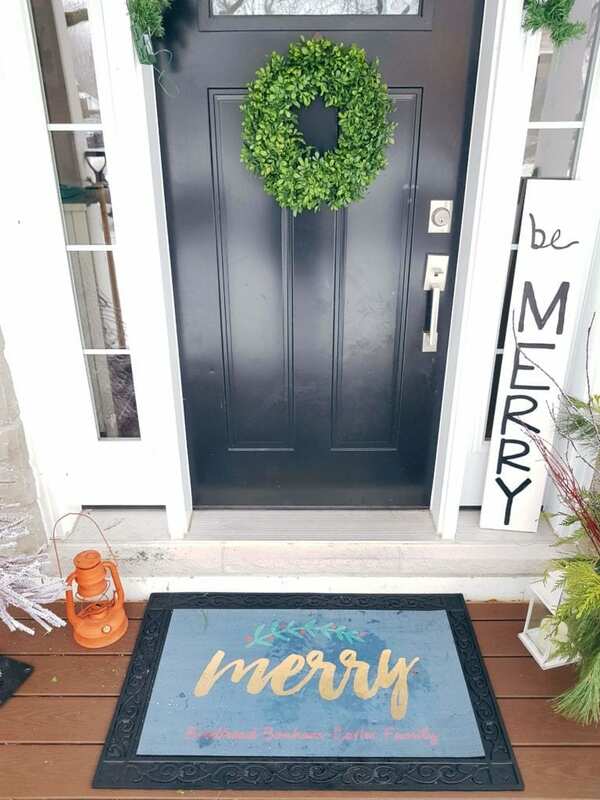 Not only have we decorated our front porch, but the Christmas tree went up this weekend and so did a bunch of decorations! 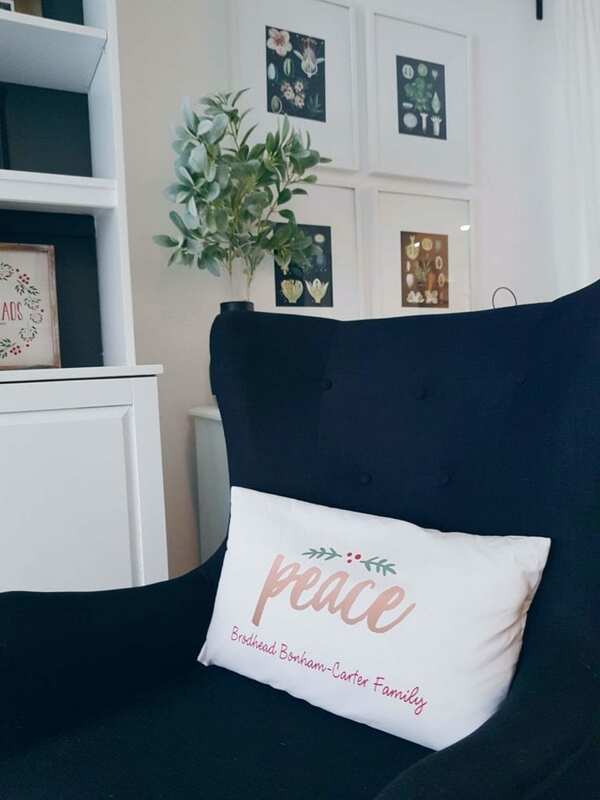 We partnered with the lovely folks over at PersonalizationMall.com to review some of their amazing selection of personalized holiday decor and gifts. They have a LOT to choose from! First up I grabbed a few customized holiday decorations. 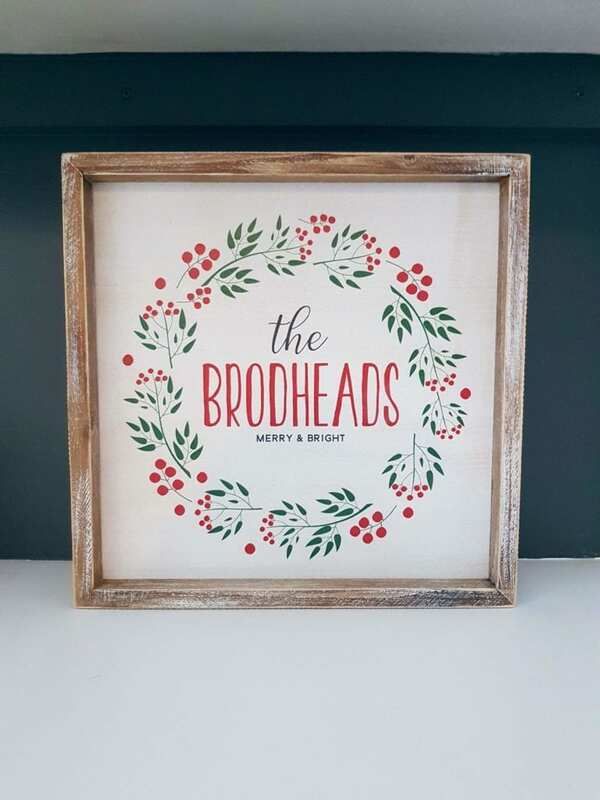 How sweet is this wreath sign? It has a farmhouse vibe going for it. 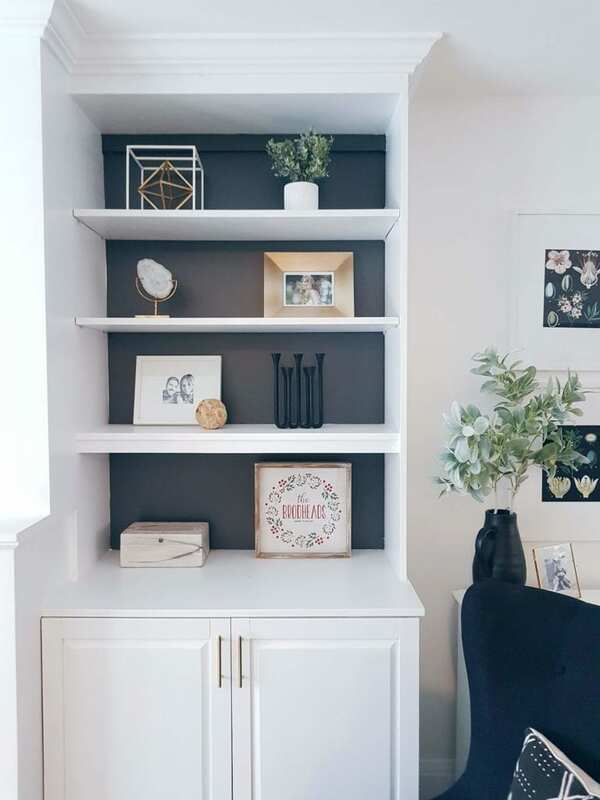 The whitewash wood frame is gorgeous. We put our last name, but you could personalize it with a message or whatever you want! I paired it with this super soft lumbar cushion cover. Again, you can choose whatever message you want. They look great together, and I like that it brings in a holiday vibe without being too red and green. You know this girl loves her neutrals! We also snagged this front door mat to replace the old plain one we had there. The kids LOVE coming home to this after school right now and think it’s the coolest that it has our name on it! Alright, now for some gift ideas. PersonalizationMall.com has pretty much anything and everything that you can personalize for gifts. From BBQ sets, to bath robes, to train tables, it was hard to narrow it down. Because we have a few trips coming up next year, and Maya’s suitcase is a bit small for her now (we’ll pass it down to James), I got her this mermaid suitcase with her name embroidered on. She is going to FLIP OUT about it. I can’t wait to see her open it up on Christmas morning! James is already showing an affinity for sports. The kid kicks around anything and tells me he’s playing soccer, and he has been wanting to join the neighbourhood boys at street hockey since he was barely a year old. 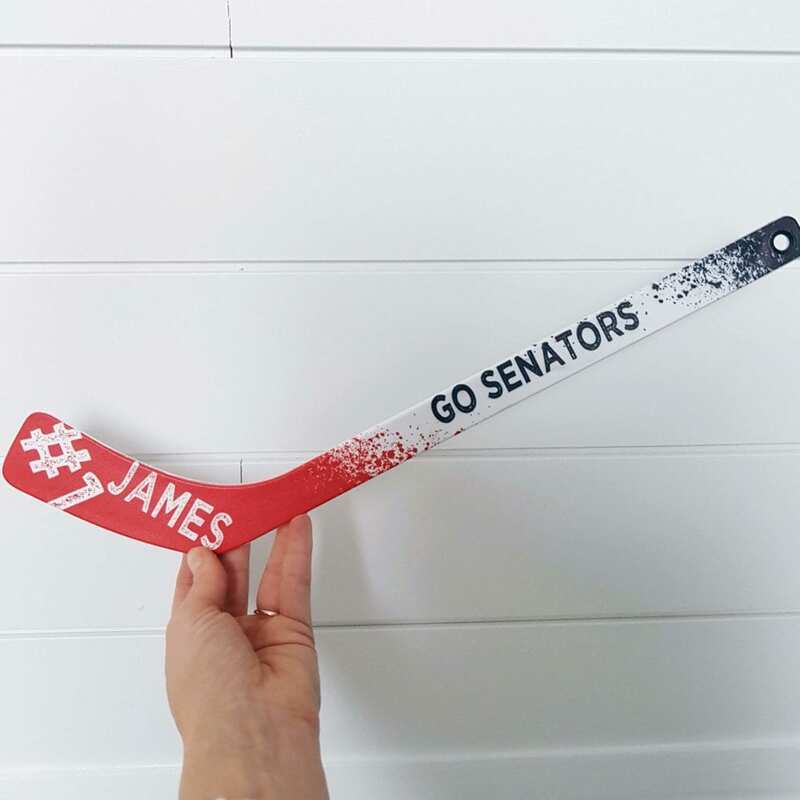 This personalized hockey stick is going to be a total winner. It has his name, and our local hockey team, written across it. 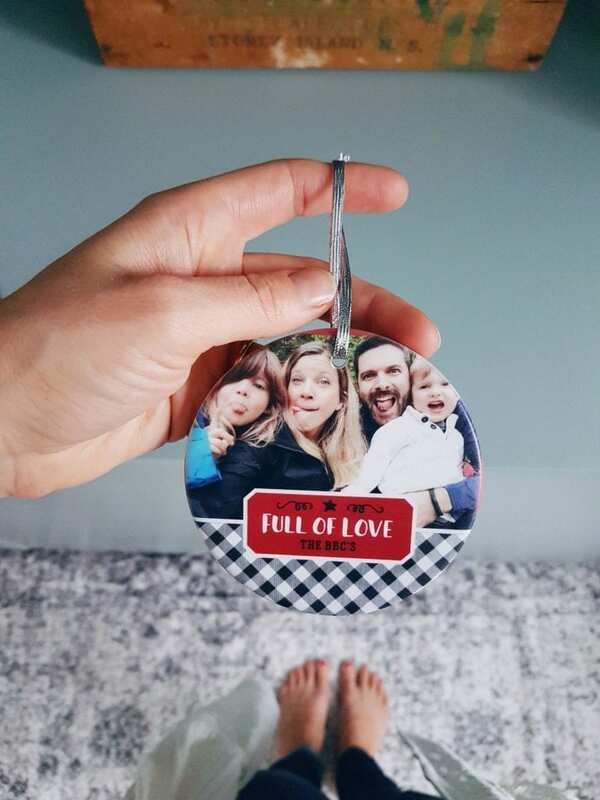 The other thing I like to do every year is get a family ornament. This honestly took me 5 minutes. I grabbed two fun pics from my phone – nothing fancy! – and uploaded them to the PersonalizationMall.com website. 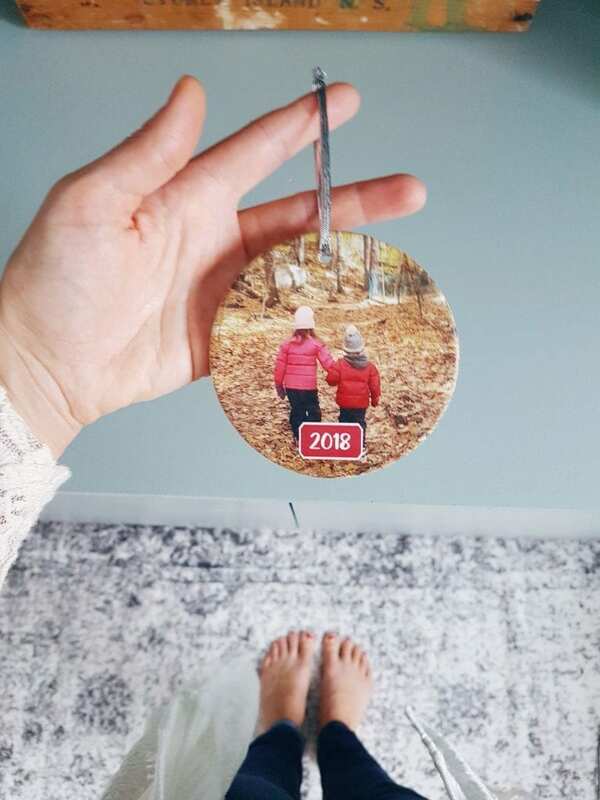 I chose the Buffalo Plaid Ornament, added in our name, the year, and that was it! The ones I have gotten in the past have been metal, but this one is a beautiful heavy ceramic. It’s the nicest one we’ve ever gotten! Love creating a collection of these. I have been doing this since Dan and I first started dating a zillion years ago! 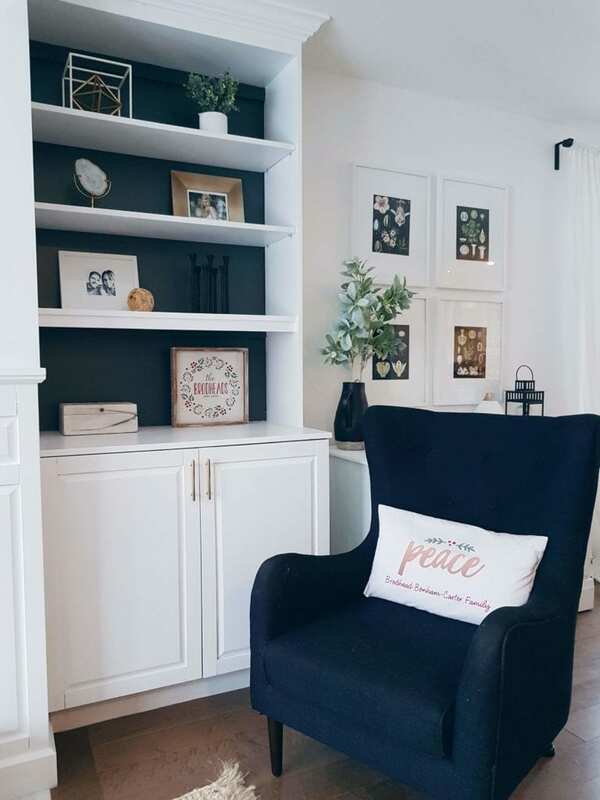 Now let’s head over and check out what the other gals from the Modern Handmade Home series did with their PersonalizationMall.com items. Hint hint – there are some AMAZING stockings and mantles to check out. Serious holiday inspiration! Disclaimer: This post was sponsored by PersonalizationMall.com. We love partnering with great brands like this one to bring you decor and gift ideas!